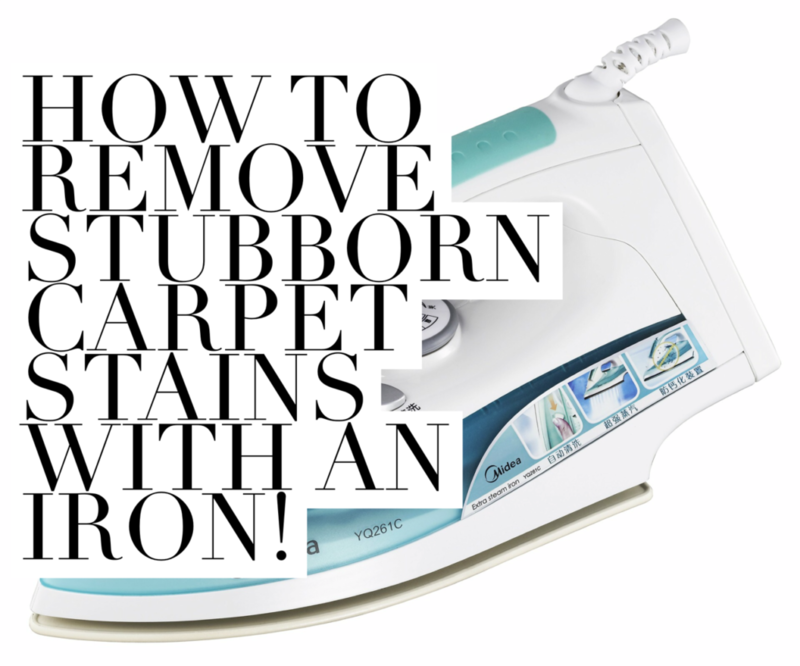 How To Remove Stubborn Carpet Stains With An Iron! 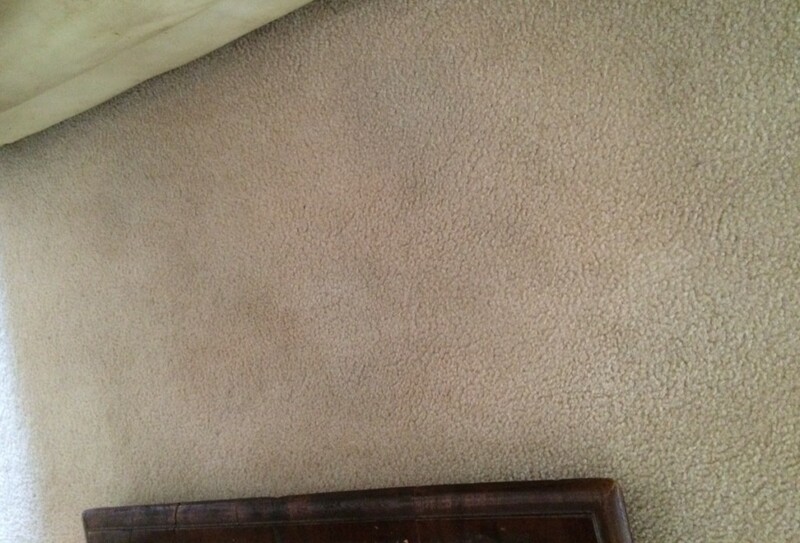 If there is one thing I hate, it is stains on carpets! They catch my eye every time I walk in the room. The other day I was fluffing around in my brand new slippers and I remember stepping on something sticky in the kitchen and didn’t think much more about it, until the next morning when I noticed some rather horrid marks on the carpet in the lounge room. As I am the only one that usually sits in that spot, I knew it was my footsies that made the mess. I grabbed my spray bottle of carpet shampoo and all I managed to achieve was making the patches bigger, not impressed. So I jumped on to Pinterest (my go-to source for finding rug tips) where I remembered saving some carpet cleaning pins in my Clever Idea’s board. One of the pins had a natural ‘recipe’ with water, vinegar, dish washing liquid and an iron. I tried that but it really didn’t make a difference. So I got my carpet shampoo spray out again, gave the marks a good squirt, wet an old hand towel and plugged in the iron. With the iron set on high temperature and the steam release open, I placed the wet towel over the stains and ironed them for just a few seconds each. This after just one attempt. I will give it a few days and will do it again. It was so easy and really made a huge difference. The white hand towel that I used is so far from white now as the dirt transferred onto it. I am soooooo happy with the results, that I am going to get the extension cord out and take my iron around the house getting rid of spots that are so evident on a carpet that is so light and a single colour. 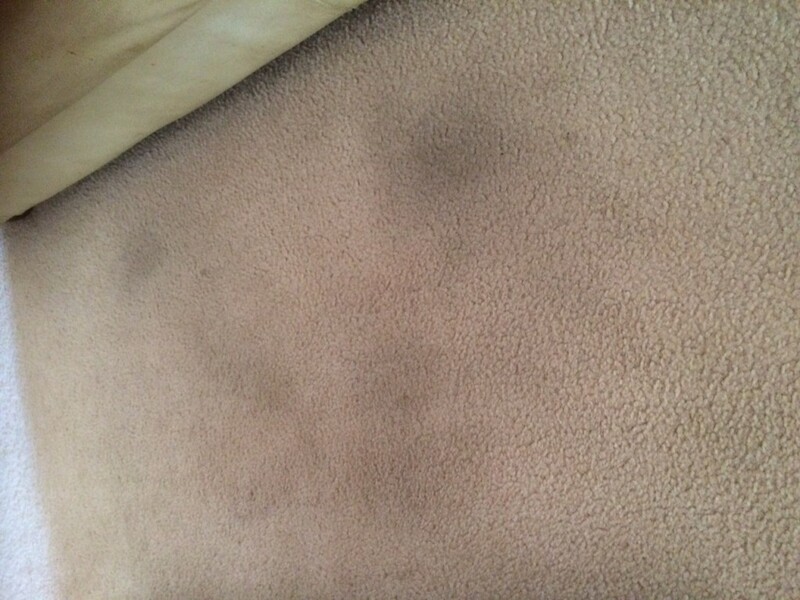 Have you got any other great spot removing tips for carpets? Most of us can relate to the feeling of sheer panic when we told that guests are on their way and the house is not just untidy, but dirty too. This post is in collaboration with Absolute Domestics, the sure fire way to get a home clean pronto! Even if guests aren’t about to drop by, there is a good chance that you will not want to waste all of your time cleaning, no matter how much your house needs a good going over.The great news is that there are strategies you can use to speedily clean your home. The absolute best use of your time when it comes to cleaning is to engage professional cleaners, such as Absolute Domestics to get your home spotlessly clean and fresh. Professional cleaners really will take a huge amount of stress from you by coming in and quickly, thoroughly and efficiently cleaning your home. Professional cleaners willingly tackle the cleaning jobs that you least enjoy and will do the tasks that you know have needed doing for a very long time (think grimy bathrooms and dusty surfaces!). Many domestic cleaning services are affordable and you can specify the frequency at which your cleaners will come and the areas of the home to which they will devote most attention. There is a super-fast way to clean bedrooms. Start by stripping linen and remaking the bed. Tuck in the sheets by lifting the mattress with one hand while using the other hand to tuck the sheets beneath. Next, clear away all clutter. If you are in a frantic hurry to get the room clean, sacrifice a thorough clutter-sorting effort by putting all clutter into a spare bin or basket so that you can sort through the items when you have more time. Dusting is important, so spend just a little bit of time wiping down all furniture with a dust spray and cloth. Make sure you work from top to bottom to make your dusting efforts all the more efficient. In your bathroom, start by ensuring that all counters are clear – this will immediately make the room appear cleaner and neater. Using a disinfectant, spray all counters and the bath and leave the spray to settle there and kill germs while you clean the toilet and wipe down the outer surfaces of the toilet. Following this, return to the bath and counters and wipe them down. It is now time to clean the mirrors. If you have time, wipe the floors over quickly, or return your attention to your bathroom floors when cleaning kitchen floors or the floorboards throughout your home. Most people are eager to know quick ways to clean the house. Often, cleaning in short bursts, rather than prolonged, massive efforts makes tackling cleaning jobs all the more manageable and pleasant. Professional cleaners are a wonderful option for all people, especially those who are busy, really do not enjoy cleaning or are even a little bit lazy when it comes to cleaning the home. Do you have any special tips and tricks you could share? Do so by commenting below! 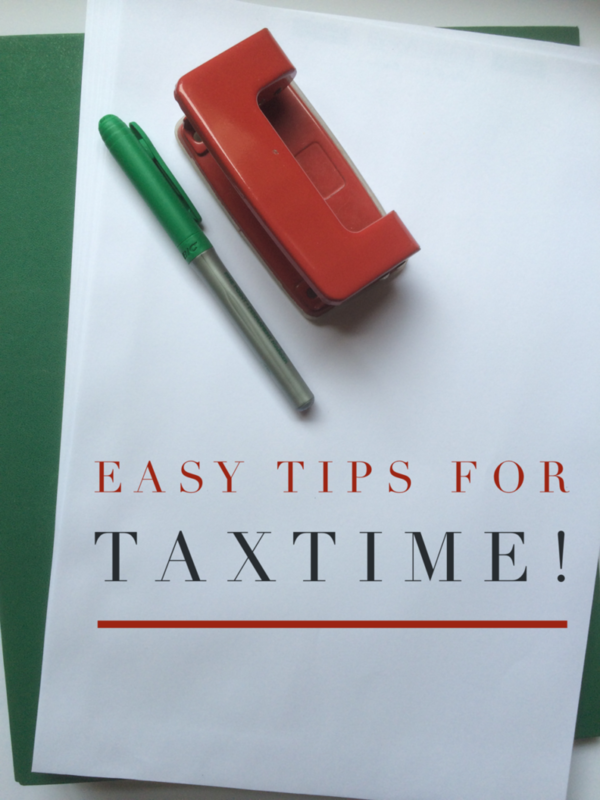 How To Be Prepared For Tax Time Easily! 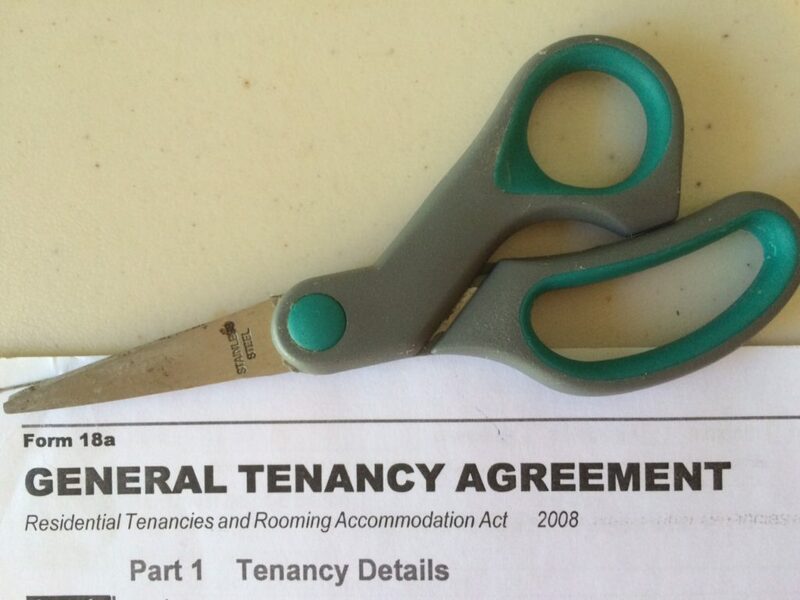 TAKING THE TERROR OUT OF TAX TIME! In years gone by, tax time had me shuffling through piles of paperwork looking for receipts. My filing was pretty ho-hum! 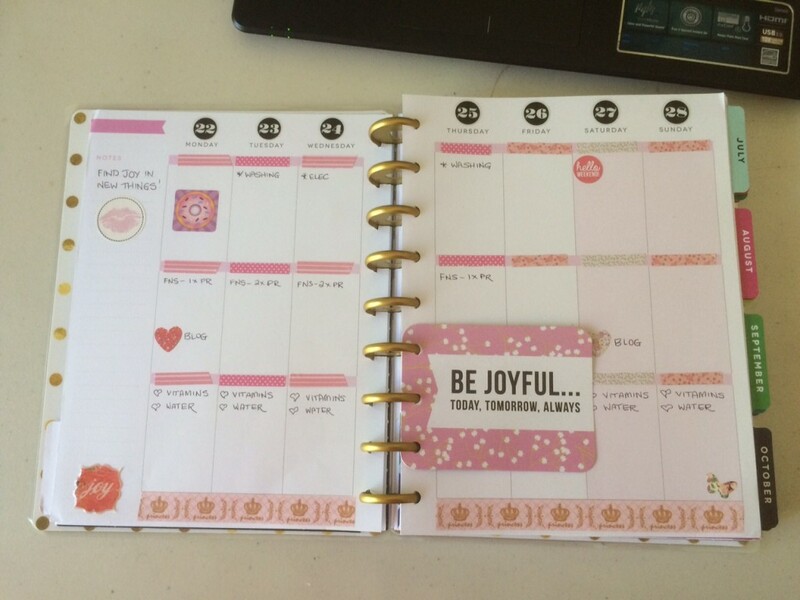 Tired of how stressful this time of the year could be I came up with two simple ways to keep on top of it all. I find filing a very tedious task and I really don’t have the need to tackle an electronic system, so this works well for me and might be the answer for you too. This wont help you sail through this years return, but if you start now, next year will be a breeze. Almost all my bills and bank statements get delivered electronically. Very rarely do I ever get snail mail now. In July last year I set up an email folder called Tax Time. Every time I get an email that bears any significance to tax returns, I automatically sweep it in to my tax time folder. If I make an online purchase that is tax deductible, I sweep the receipt across. When I looked in the folder this week, I was amazed how much was in there that I would have forgotten about. This also saves time and money on printing costs. I do my own tax returns so I don’t have to have a physical version of everything. 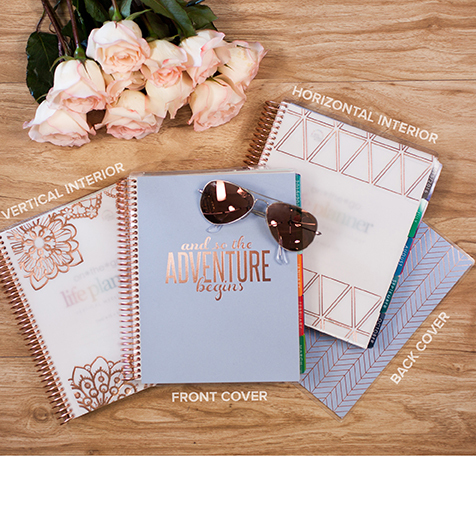 All you need is a ring binder and 12 large envelopes. Label each envelope from July through to June. Punch holes in each envelope and slip them into the ring binder. Every time you make a purchase or donation that gives you a paper receipt, pop it in the envelope for each respective month. If you love being super organised you can right the details on the front of the envelope and tally up as you go. There are some things you simply don’t get receipts for such as using public transport to go to a tax deductible function and you pay with your Go-Card, simply right the details on the front of the envelope. When it comes time to do your return you only have two places to collect all the data from. Whether you do it yourself or have an accountant take care of it for you, it will only take a few minutes and you will be ready to lodge and hopefully get a bigger refund as you won’t forget to make deductions because you can’t find your receipts. How do you deal with tax time? 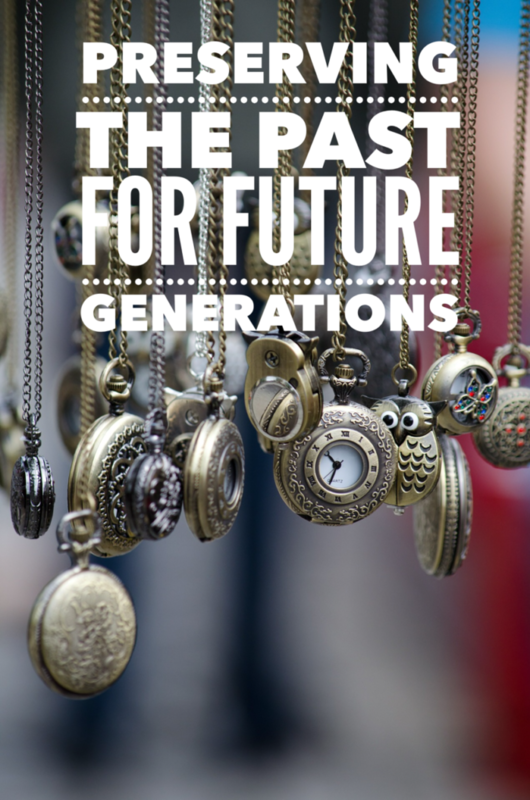 Family Heirlooms – What To Keep And How To Store It! 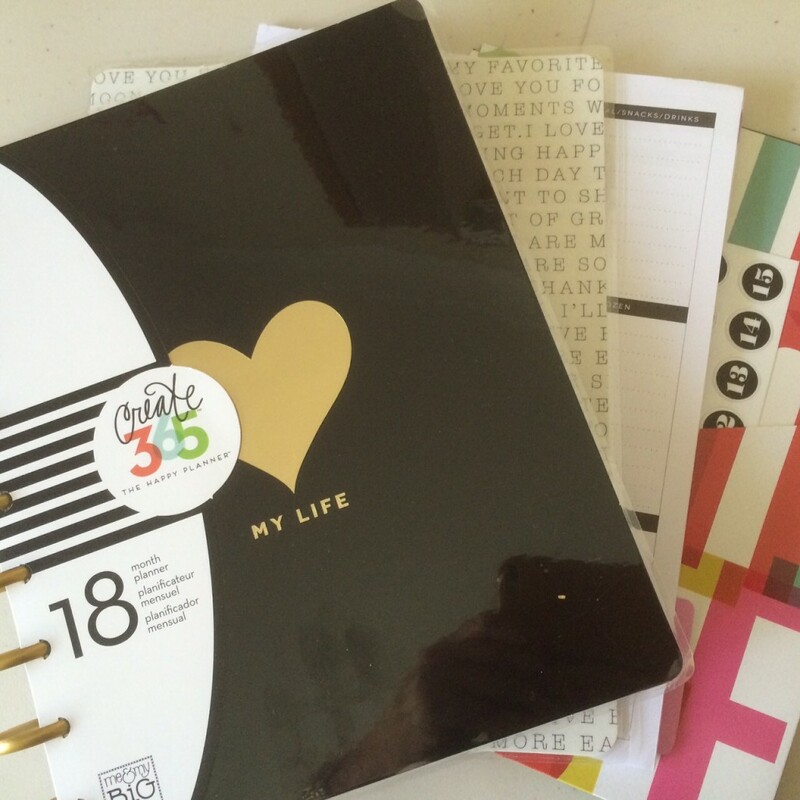 Do you like to keep mementos or do you love to keep things clutter free? We have become a bit of a throw away society. Modern decorating calls for a sleek and minimalist look and we are told to declutter and get rid of things we no longer need. But are we throwing away all our precious memories and not keeping anything to share with our grandchildren? This post is in collaboration with Fort Knox Storage. My family moved a lot. Not just within the same city, state or even country. My father was in hotel management so we moved overseas and lived in 4 Australian States. All this moving meant continually packing up and tossing out. Other than lots of great photo’s I have nothing left from my childhood with one exception, a box of Lego. They are still the same today as they were decades ago when I was little. I did keep one Barbie doll and a few clothes but they literally disintegrated a while back. Unfortunately I have done pretty much the same thing. Moving house is the perfect excuse to get rid of stuff. As the girls have grown up and grown out of things, I gave them away. In hindsight I wish I had hung on to some of them like their awesome toy kitchen and mini timber hutch. There are few things I have kept that are on the small side. A pretty box full of mini treasures. First day covers, patches from places I have visited, pins and our $1 and $2 notes. Anyone can hold on to a few pieces of important life events to pass down or simply share stories with future generations. The tricky part comes from deciding what to do with larger pieces. Give them away, sell them or store them. Wouldn’t it be lovely to hand your children’s bassinette down to their children? Do you really want to get rid of that lovely sideboard that Aunty Mavis left you, even though it does not suit your décor right now? The simple solution is to not clutter up your home or fill up your shed, but to hire a storage space. Your precious things will be out of your way and kept safe and dry. If you wish to store clothes such as wedding dresses etc, make sure they are clean and wrapped in acid free tissue paper to avoid staining. Cover furniture items with old sheets as dust clothes. If you pack up multiple items in a box before storing them, label them clearly and create a master list of every item you place in each box so that if you ever need to find it, you will know exactly where it is. So before you get rid of something, decide whether it could be valuable or charming for future generations. How many things have you got cluttering around your home that could be put in storage for safe keeping? You’re tired of the renting game and you’re in a stable job, making good money. It seems like a great time to look at purchasing your own property, right? Before you start collecting an open house list, there are plenty of things you need to consider. Here are four points you need to think about before buying. This post is in collaboration with Templeton Property. Are you ready to cut these up for good? 1. Are You Financially Ready to Buy Property? Ask yourself this question first up. Have you saved enough money for a deposit? Most financial institutions will recommend to have at least 20% of the purchase price saved, as well as enough to cover application and conveyancing costs. You will need a good savings history and employment history. If you have these things, preapproval for a loan is the best place to start. You then know how much you can afford to spend on a property. 2. Do You Want to Use a Property Agent? A good property agent can save you time, stress and money. Decide early if you will do the hunting for a suitable property yourself or leave it to an experienced property agent. A professional property agency takes the time to consult with you on budget, priorities, location and other preferences and then sources suitable properties for you. They can also bid on your behalf at auctions, which can stop you getting excited and bidding over the budget. Hiring a property agency, such as Templeton Property, is often a good idea – especially if you’re looking to buy an investment property. Check out this URL for more information about how a property agent could assist you. 3. What Are Your Property Priorities? Your priorities are going to have a big impact on the type of houses you view and ultimately make an offer on. For example, if you have children, you will want to be in a location close to good schools. Don’t have time to garden? Bear that in mind when a beautifully manicured yard is tempting you. If you are planning a large family, a small home with a courtyard is not the property for you. Before you even begin viewing properties, it is wise to work out what features you aren’t willing to compromise on. The area you live in has a big impact on your lifestyle, so choosing a property in the right locale is also an important consideration when buying. Is there future development planned? Are you close enough to work, transport and amenities? The property game is an emotional one, whether you are purchasing your first home or investing in a rental property. When you have done your research, you will apply more logic to your decisions. If you are emotionally attached to a property before you even make an offer, you may find yourself overlooking the property’s condition and true value. Letting emotions get the better of you is a fast track to overspending on your budget. These are four things you need to consider before you get serious about buying a property. Is there anything else you think is crucial to do before you start house hunting? Share your thoughts and tips in the comments below. Scrolling though Facebook, as you do, a post caught my eye about a creative challenge being organised by Clares Craft Room. Before I had the girls I was often crafting away at something. Dabbling with paint, pricking my finger with cross stitch or chasing runaway beads across the floor! Over the last year I have started crafting a little again, even though work and running the household does not leave a lot of time. The Creative Challenge is simple enough, you are given two prompts and from those you go forth and create whatever you want. I sent off an email to say ‘yes’ I am in, then sat back and went OMG this thing has a deadline, what if I don’t have time! I made time and got it done, and had some fun along the way. My prompts were this gorgeous pic and the colour BLUE. Instead of spending days agonizing over what to make, I had an instant flash of what I was going to do, BUT could I actually turn that into a real piece of something? It had to involve water as that fitted with both prompts perfectly. 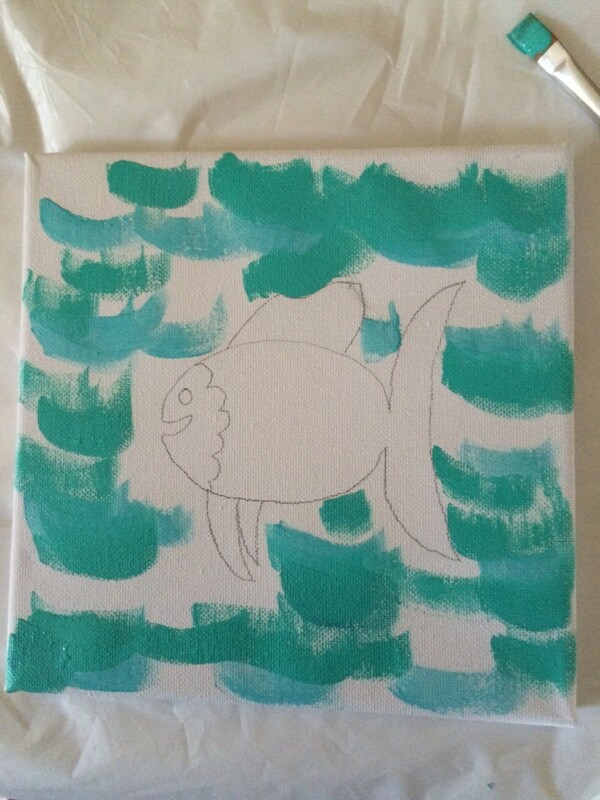 So I started with a little white canvas and blue paints. A quick sketch and few sweeps of the brush and my water was done. 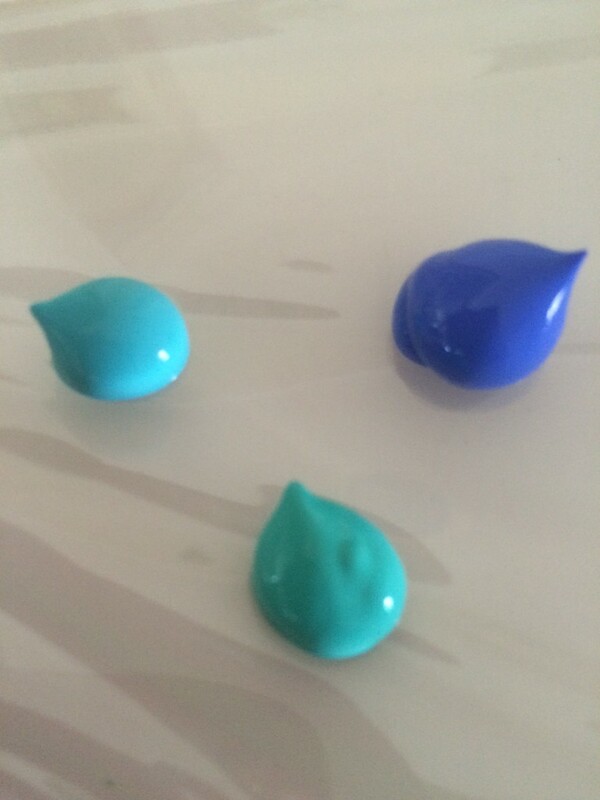 I didn’t let each blue dry before moving on to the next one so that they all blended together with ease. 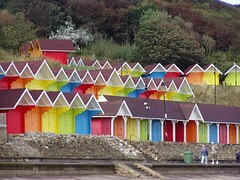 As all the houses in my pic were such bright colours, Miss Fish had to be the same. 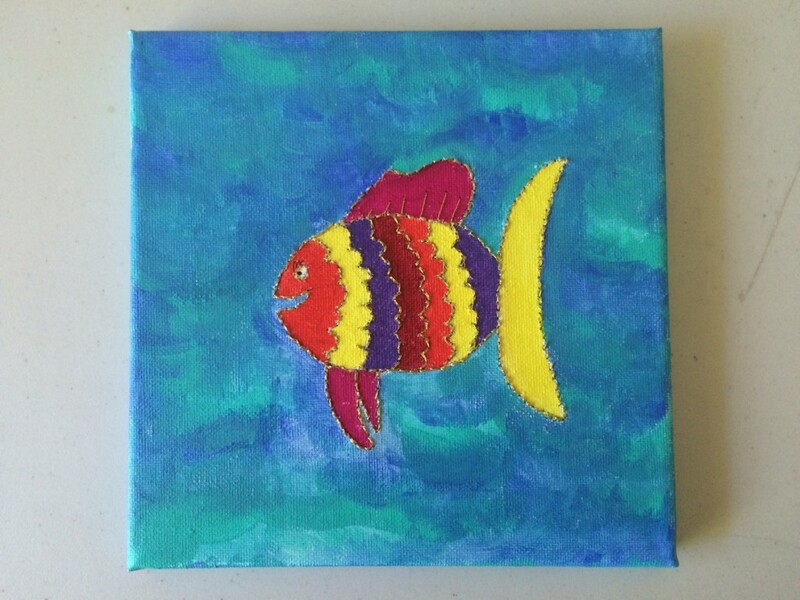 My version of ‘Rainbow Fish’. Instead of painting all the boarders, I used two strands of DMC metallic gold thread to chain stitch around the edges. I do like a bit of sparkle. I think she turned out rather nicely…..
Had I not had a deadline, this would still be sitting on my desk, half done. I have started many challenges, but it is not often I actually see them through to the end. I do love a deadline to keep me on track or to simply get me started. What exciting challenges have you taken part in this year? Have you actually completely finished one? Selling your house conjures very particular images for many people. Some see it as a chance for change, a fresh start. Others are much more focused on the money they’ll make out of the sale… and it’s these people that could be in for a rude shock because, while you might sell the house for the precise amount you wanted, there are several costs associated with the sale of a property that often remain forgotten until the paperwork comes through. Here are just a few of the big ones to remember. Working with a real estate agent is the fastest and most effective way to get your property sold for the price you want. That’s just a fact. But there can be a lot of fees associated with using them. Depending on the sale price of your home, these can really add up. This is why, when selling houses, it’s in the seller’s best interest to consult sites like localagentfinder.com.au. Comparison sites like this allow sellers to compare real estate agents in the area and their respective rates, so you can get a better deal and have more money in your back pocket when the sale is closed. If you’re going to tempt a buyer, your home is going to need to look its best. This means getting out there and finally fixing all those problems you’ve been letting sit idle for years. Everything needs to be spotless – house, garden, lawns, garage… all of it. Fix any broken tiles, get militant on weeds in the garden, and start clearing out any excess furniture or clutter. Make sure the pool area is nothing short of a perfect shimmering oasis. Get a high pressure hose and blast the grime off your driveway and garden paths. Anything that can add value to the house should be a particular focus; any home improvement projects you began and never finished should be completed, professionally if possible. People assume that marketing doesn’t cost very much for some reason. This is curious because there is nothing but evidence to the contrary. Getting the message out there for buyers to see can be accomplished through any number of avenues. You can employ traditional measures like newspaper ads or flyers through a local real estate and putting up a sign in the front yard for passers-by to see. Those will only take you so far though because you also have consider the online component of your campaign. Real estate websites will charge you to add your home to their catalogue and you should definitely get someone skilled in photo manipulation to clean any photos of the property up so they look perfect. You absolutely need to set aside an advertising and marketing budget. These are just three of the more common overlooked costs involved in selling a house or property; there are certainly others. Sellers must be vigilant and take all of these costs into account when gearing up to sell. Have you ever been caught out by hidden selling costs? Share your story or advice in the comments section below. Fountains For Success In 2015! Chinese New Year is just one week away, and if you want to tap into success, money and incredible opportunities in the Year of the Sheep you MUST get your water on! Drinking water and staying hydrated is one of the best things you can do for your health, but that is not the water I am referring too! This year is all about using the power of water to activate the incredibly good luck that will be flowing in to your home from the EAST. Mine is already in action, a sealed ceramic pot and a pond filter is all you need! To find the EAST sector of your home, you will need a compass. Smart phones have one built in if you don’t have a compass just floating around home. Stand in the middle of your house and hold the compass or phone flat in your hand. Find East on your compass and see which part of your home falls in this sector. Divide the length and breadth of your home by 3. The East sector of your home falls in to that zone. The East sector of your home is governed by the element wood. What makes trees grow healthily? Water of course. 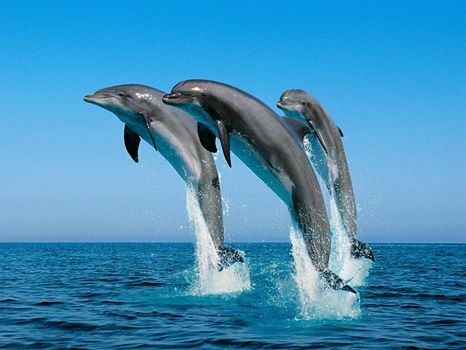 Moving water is what you need to have in your home to activate the huge positive energy coming your way. Water loves to flow, that is what keeps it fresh. Still water becomes stagnant and putrid, so you want to avoid that at all costs or you will be killing off the positive energy. There are two ways to use fountains in the East, either indoors or outside. – Your fountain should be placed in the East sector of your garden. – The flow of water should be in the direction of your home, if it flows away from your home so will your good luck. – Don’t have one of those fountains where the water disappears into a reserve that you can’t see, this represent your money and luck being hidden and ‘going down the drain’. If having an outdoor water feature is not practical and indoor fountain in the East of your home is the perfect alternative. – Choose a fountain that gurgles away merrily and again the water must be kept clean, simply empty it and add fresh water regularly. – If a bedroom, bathroom or kitchen is in the East sector of your home, DO NOT place it in these rooms. Put it in the EAST sector of your lounge room. (Divide up the lounge room, the same way you did your whole home to find the East sector). To the further enhance this amazing energy ensure that the East sector of your home and living room is kept clear of clutter. Use the colours green, blue and black for decorating. Beautiful images of beaches, rivers and lush greenery will work wonders. The colours red and orange should be avoided or used very sparingly as they represent the Fire element and fire burns down trees, so is damaging to natural element of this sector. 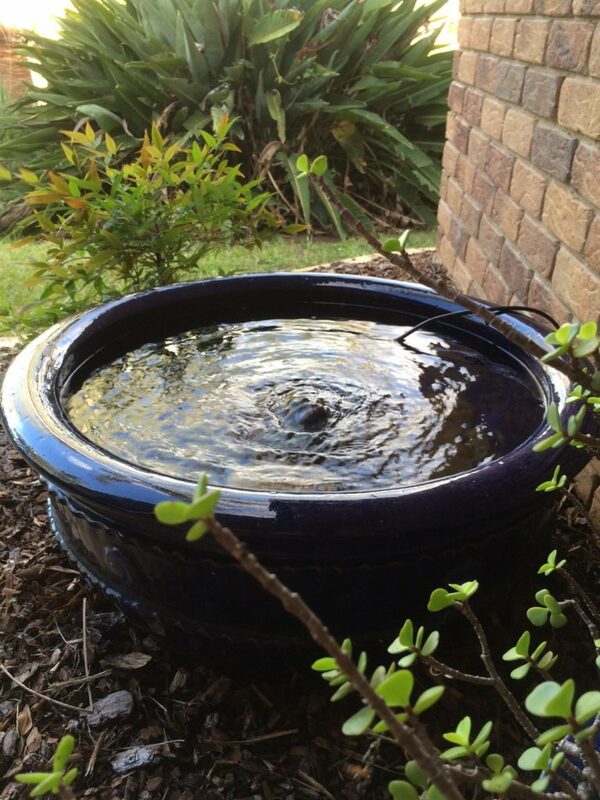 Adding a water feature is a great project for the weekend, just in time for the New Year. Wishing you abundant health, wealth and happiness. For more great hints and tips you can follow along on Facebook, Instagram, Pinterest and Twitter. New Years Eve has been and gone. All the plans and promises of change in the New Year have probably gone by the wayside. Thanks to Feng Shui and the Eastern calendar, you get a second chance to start the year all over again! Chinese New Year actually falls on the 19th of February, but the new energies that will be in play for the year will actually start to have effect on Wednesday the 4th. To start this ‘New Year’ off right, you don’t have to make resolutions that you feel obliged to try and keep. Instead with the help of a little cleaning and a light, you can invite good energy into your home for the year ahead and invite in good luck. Get your good luck flowing, by starting at the front door. 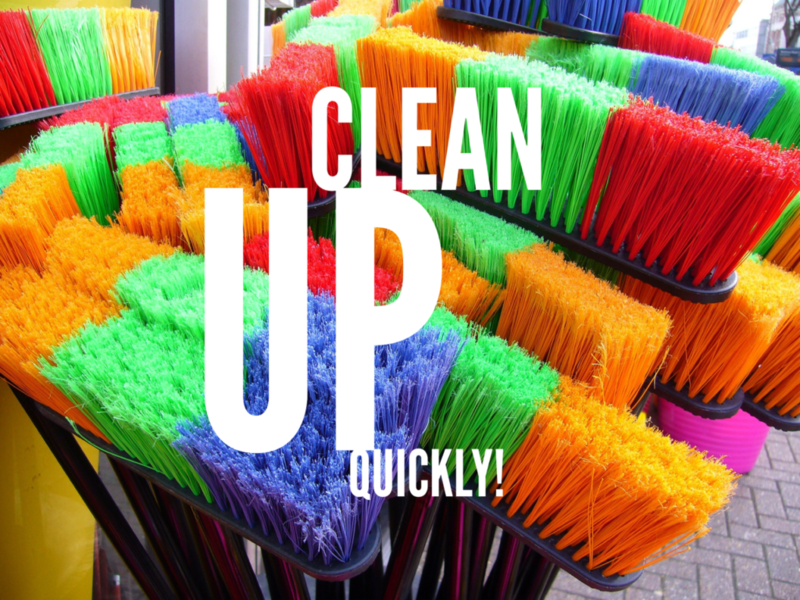 In Chinese tradition, this is the day you declutter and clean your home from top to toe, as dirt and clutter trap energy and cause it to stagnate. As you probably don’t have the time to dedicate to a full clean, there are still a few things you can do to start the year off right. – Throw out obvious rubbish that is lying around like old papers, magazines etc. – Empty all indoor rubbish bins. – Clear your kitchen benches and put away all dishes. – Wipe down your front door. 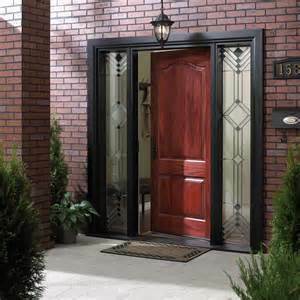 – Wash or dust off your front door mat. – Turn on your porch light and leave it on all night. Your home is your sanctuary and can support your health, wealth and happiness. Keeping your house clean and clear of unnecessary ‘stuff’ is the easiest way to keep energy fresh and powerful. Are you a clutter collector? I was so excited to see an Australia Post delivery at my door step on a Saturday!I only thought weekend deliveries happened on the last weekend before Christmas. All week I was waiting for my little parcel to arrive from Crabtree & Evelyn. Thankfully they have an online store, as there is nowhere close to me that I can buy these goodies. It took a few phone calls to find out that not a single Crabtree & Evelyn stockiest near me actually sells the fragrance oils. So I had to summons patience and let my fingers do the shopping. Online shopping saved the day, and I love the free sample that came included in my parcel. 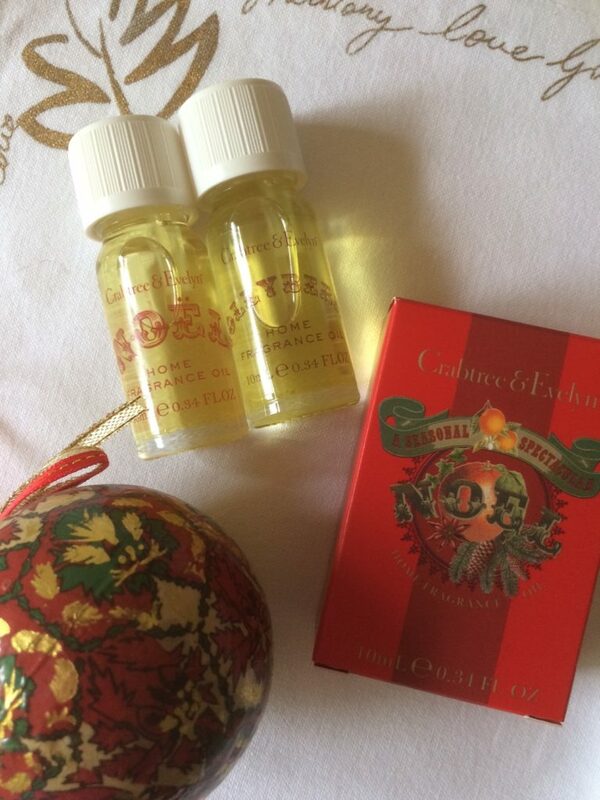 For years now, I have had their ‘Noel’ fragrance oil at home. It is a delicious blend of all scents Christmas such as Fresh Balsams, Persimmon, a hint of Citrus and a hint of Spice from Star Anise, Clove and Nutmeg. It is truly delightful and I simply add about 6 drops to my burner and let the scent waft through the house. If you don’t have a burner or vapouriser you can put a few drops on a tissue and place in a small dish, add to a small bowl of warm water or even add a drop or two to the branches of your Christmas tree. 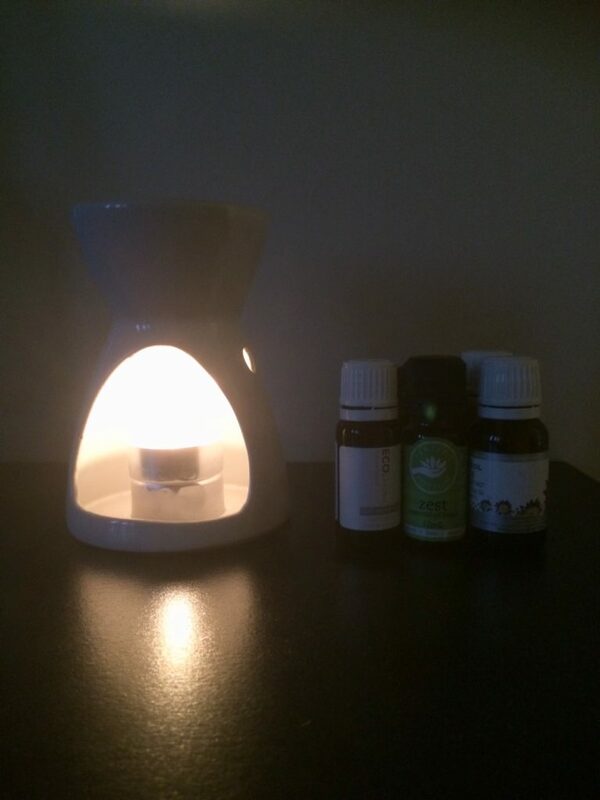 Investing in a burner is the most effective way to use these oils, even it just a simple one from the discount store, they all work the same way. You just add a little water into the dish, or a non-scented wax melt and place a tea light in the base. Once you have lit the candle add the fragrance oil drops into the water. Just keep an eye on the water level as it will evaporate and keep away from little hands. I love using pure essential oils to fragrance my home and for medicinal use, and it is very rare that I would venture down the path of fragrance oils such as those little bottles of yuck you find in the cheap shops. These lovely oils are definitely worth using. I also discovered a new scent ‘Holly Berry’ that I have not smelt before, but a bottle just jumped into my cart. This one is a little sweeter with hints of Red Current, Fig and Frankincense. Very affordable at only $15.00 each. When you only use a few drops at a time, you get plenty of applications from these generous size bottles. They also make the perfect gift for that lady who has everything. This is not a sponsored post, I love sharing things that I really enjoy and know others will too!